1999 was a big year for the Choctaw community and for the Chamber. 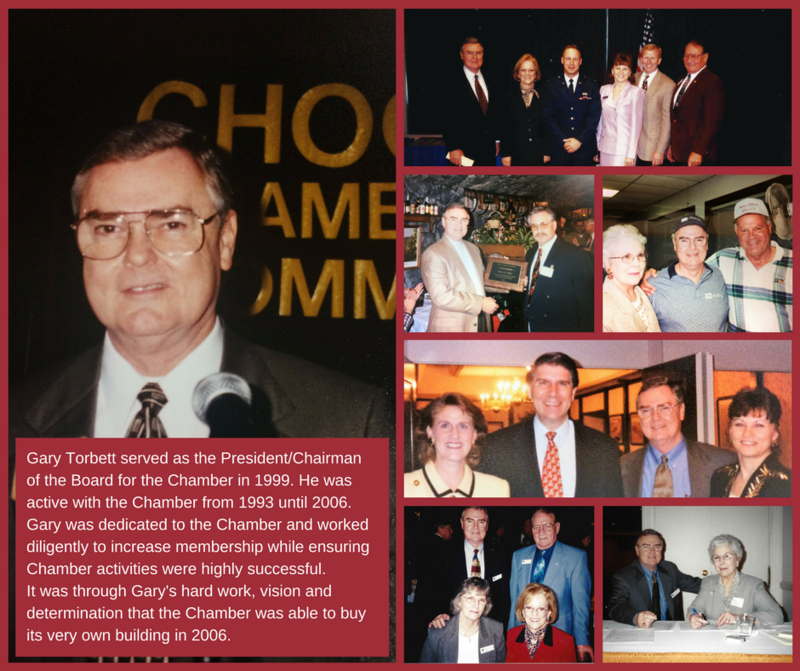 Gary Torbett, with TDS, served as President/Chairman of the Board for the Chamber of Commerce and that same year 126 building permits were issued, 7 new housing additions were built, and two tornadoes touched down causing over $3.2 million dollars in damages. Under Gary’s direction, the Chamber acquired their own building and began to vigorously increase membership. We are grateful and appreciative to Gary Torbett for all his hard work and his unwavering dedication.